Air New Zealand and Allbirds have joined forces to take the best of New Zealand around the globe, bringing added comfort to the in-flight travel experience. Dubbed “the Bird Mask” due to its birdlike features, Allbirds has transformed the humble airline eye mask into a luxurious and sustainable travel companion to help customers sleep better and wake up fresh, and it is designed to be used again and again. Like Allbirds’ revolutionary footwear, the sensationally soft mask is made from sustainable, ZQ-certified New Zealand merino wool and castor bean oil-based foam. The attention to design detail includes clever molded eye indentations which allow for natural eye movement, while the quirky birdlike beak provides a comfortable seal against the face to completely block out light. Air New Zealand collaborated with Allbirds on the design of the mask, including conducting on board wear trials to provide feedback throughout its development. Air New Zealand Chief Marketing & Customer Officer Mike Tod says there is a natural alignment between the two brands, which are well known for showcasing New Zealand to the world. “Like Air New Zealand, Allbirds punches above its weight and has truly made a name for itself as a disruptor in the footwear industry. Both brands are also famous for comfort. Allbirds produces the world’s most comfortable shoes while we’re proud to offer our customers the best sleep in the sky. “We jumped at the chance to work with Air New Zealand, a brand that similarly prioritises thoughtful design and customer experience,” says co-founder and co-CEO of Allbirds Tim Brown. 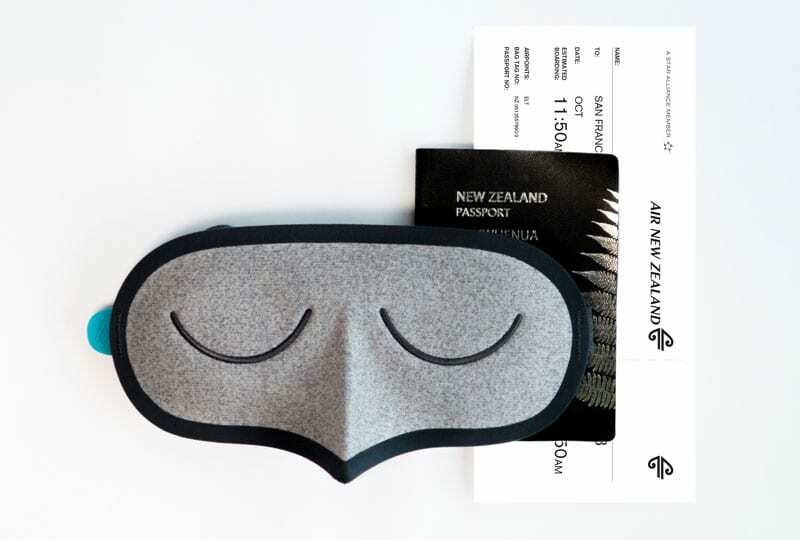 The Bird Mask will be available exclusively in Air New Zealand’s Business Premier cabin on selected North American routes throughout October, including the airline’s daily NZ1/NZ2 service between Los Angeles and London. Newer PostHow does your airport stack up in passenger satisfaction? Why Japanese love Taiwan Braised Pork Rice ?